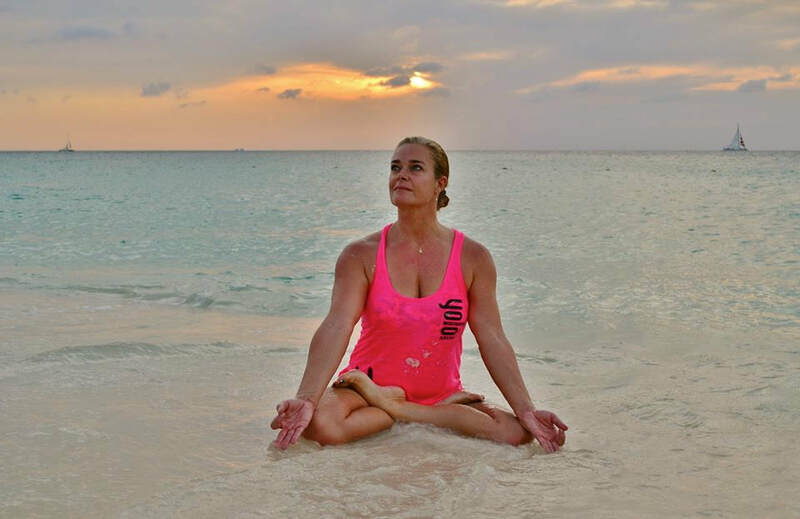 Happy Buddha Aruba was founded in 2013 by fitness-guru-turned-yogi Corinne Voermans. She operated out of a makeshift studio until 2015, which marked the opening of her new studio, situated on a 66,700-square-foot piece of private property in Palm Beach. The main yoga room offers space to maximum 20 persons per class and features a vaulted ceiling and a wood-like tile floor. The studio is surrounded by a serene tropical garden that is home to melodious local birds.